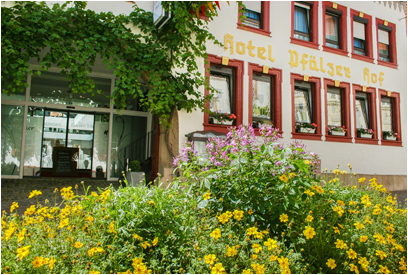 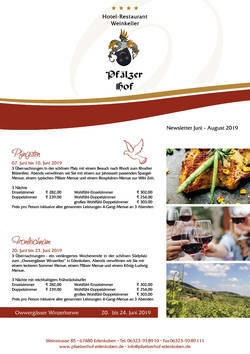 For 40 years, our hotel Pfälzer Hof offers hospitality to its guests. With loving care to details we tried to keep up traditional values while blending them with a new building structure and modern ideas. 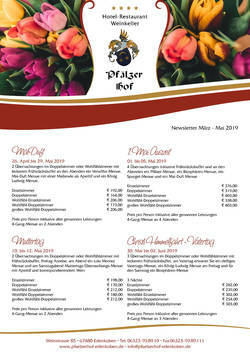 Come in and relax in our family-run hotel and restaurant Pfälzer Hof. 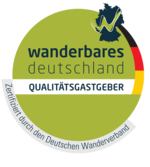 You find us in the heart of the town of Edenkoben, which is surrounded by vineyards and chestnut groves.We cordially invite you to take a guided tour on our website.